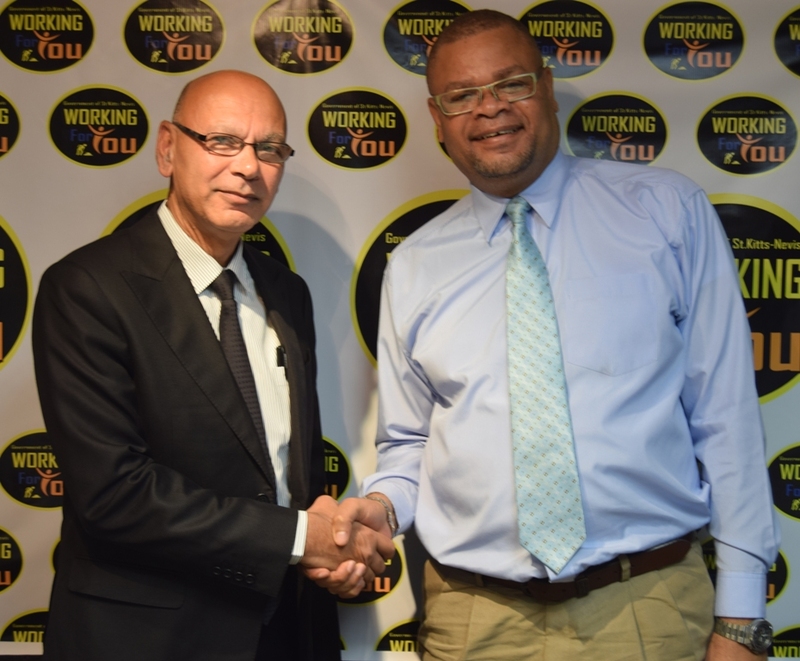 Photo: CEO Khan (left) thanks “Working for You” host Lesroy Williams. Basseterre, St. Kitts – Chief Executive Officer (CEO) of the St. Kitts and Nevis Citizenship by Investment Unit (CIU) Les Khan gave some insight into the stringent due diligence process of the CBI programme, implemented after 2015, that has helped to prevent unwanted actors from being accepted. The process begins at the first point of contact between an applicant and an agent. Khan explained that the certified CBI agent will first run a high-level background check on the individual, using creditable tools such as those offered by World Check or World Compliance. The provision for an extensive security check was recently instituted for all service providers and agents. Once cleared, the application will then go to a service provider in St. Kitts and Nevis, who will then submit the application and the due diligence report to the CIU. The CIU will then inspect the files and once it passes the “test of documentation,” the information will be forwarded to an international due diligence company. St. Kitts and Nevis engages the services of up to six companies, with the main ones being IPSA International (the Canadian subsidiary was recently acquired by Exiger); S-RM, which provides business intelligence, risk management and cyber security; Thomson Reuters; and BDO Consulting. “That due diligence company then takes that information and runs it against the various sanctions lists, social media and other media channels to see if there is a negative [post] in media,” Khan said. The rigid security process continues as the information is then forwarded to an agency that dispatches investigators to discretely confirm the individual’s details, including place of residence, occupation, utility (water/electricity) report, educational history, bank statements, flow of funds and more. The flow of funds and its origin are scrutinized carefully. When the investigation process is completed, the file is returned to the CIU Unit, which will then conduct another review and submit a recommendation to approve or deny the application. The process may seem somewhat onerous, but Khan said it is necessary. St. Kitts and Nevis’ Citizenship by Investment programme is one of the world’s longest running and successful programmes and carries a platinum standard. Khan said the platinum brand will be protected and the reputation of having the most rigid standards in the Caribbean will be upheld.